"....methane, a potent greenhouse gas, that is known to trap more heat in our planet's atmosphere." But we are NOT told how much methane will actually run-up global temperature. Usually articles like this one use the Global Warming Potential (GWP) numbers from the IPCC reports to say that pound for pound methane is as much as 86 times more powerful than CO2 at trapping heat, but are silent when it comes to saying how that translates into increasing temperature. Anyone who does an internet search to find out how much methane will affect global temperature will not find the answer. It seems to be a well kept secret. Using the GWP numbers it can be figured out though. If methane increases by a few parts per billion every year, it will run temperatures up 86 times what an increase of that same few parts per billion of CO2 would produce. Which is essentially nothing. And it follows that 86 times nothing is still nothing. If methane increases by a few parts per billion every year, it will run temperatures up 86 times what an increase of that same few parts per billion of CO2 would produce. Which is essentially nothing. And it follows that 86 times nothing is still nothing. The flaws in your 'reasoning' are clear as they are BIG, mate. FIRST: you assume CO2 increases only "by a few parts per billion every year"...which is far lower than reality situation already, let alone once warming is sufficient to trigger even more releases/emissions. SECOND: you fail to foresee truly massive releases of Methane AND CO2; from MANY previously stable reservoirs of BOTH Methane AND CO2 in clathrates/hydrates/Peat (ie, OCEAN 'floors'; LAND 'permafrost' AND PEAT reservoirs of Carbon...which LATTER 'peat' will decompose/burn much more fast/widely, thereby producing EVEN MORE of BOTH Methane AND CO2). [GWP]is a measure of how much energy the emissions of 1 ton of a gas will absorb over a given period of time, relative to the emissions of 1 ton of carbon dioxide (CO2)." It's a comparison that asks, "If CO2 and CH4 increase by similar amounts, what's the comparative temperature rise?" The answer is CH4 will run up the temperature up to 86 times as much as the same quantity of CO2. The reality is that the CH4 increase is tiny, a few parts per billion. So you need to compare to an increase of the same few parts per billion of CO2. with data back to 1984 on methane showing a lot of variability over that time line. The MAX in 1991 was 14.02 ppb and the MIN was -4.92 ppb in 2004. The average is 6.5 ppb. And plotted out the linear trend is negative. when plotted out shows a negative trend isn't very meaningful. The Excel 2nd order polynomial/quadratic indicates negative acceleration. "We've seen that methane, which accounts for only 14 percent of emissions worldwide, traps up to 100 times more heat than carbon dioxide over a 5-year period. This means that even though carbon dioxide molecules outnumber methane 5 to 1, this comparatively smaller amount of methane is still 19 times greater a problem for climate change over a 5 year period"
Cortezz, Thanks for your link. Yes, that link says methane traps up to 100 times more heat than carbon dioxide. What your link doesn't say is how much methane will actually run up global temperature. By 2100 methane will increase from 1800 ppb to 2300 ppb, this will increase global temperature by _____ degrees C.
By 2100 methane will increase from 1800 ppb to 2300 ppb, this will increase global temperature by..
Another flaw in your reasoning is that you fail to allow for the fact that Methane is converted by atmospheric physics to CO2 and water vapour. It is the increased TRIGGERING of even more FEEDBACK between the initial effects of the Methane releases and the subsequent increase in further releases of both Methane and CO2 from the fossil Carbon reservoirs...which is THEN ALSO followed by PERSISTENT CO2 increases from Methane CONVERSION to MORE CO2...and so on. ...RUNAWAY GREENHOUSE effects that will be the most dangerous during this transition period (between previous 'tolerable normal' temps/weather/climate 'variability/patterns' and evolving 'dangerous instabilities/extremes') towards the 'new normal' that will not be so 'tolerable' for humanity. I don't know if anyone can actually say that. I wish they had a chart that would state how much every single greenhouse gas heats the atmosphere but I think no scientist wants to put their name under that. I think it would be really wild guessing. But I found this: "As of 2011, methane contributed radiative forcing of 0.48 ± 0.05 Wm-2 , or about 17% of the total radiative forcing from all of the long-lived and globally mixed greenhouse gases." From that you can estimate how much an increase of 500 ppb will cause radiactive forcing. Don't forget the ropes when the people whose septic tanks overflowed into their front yards when you said the sea level wasn't rising come for you. You better get lots of guns, because they're going to show up in thousands looking for liar deniers to hang up by the feet over their cess pools. And they'll have more guns than you can imagine. I'm going to encourage them and write my congresscritters not to make a law about it. You know, freedom and stuff. Keep in mind more people live on the coasts than in the interior. Whatcha gonna do when they come for the liar deniers? Guns ain't gonna do no good. You ain't got enough guns. Better run and hide. Good luck with that. I am so f'in tired of listening to the RWNJ trolls saying they got more guns. I figure it's time to fight fire with fire. Some percentage on the coasts will claim it's a gummint plot. They'll be the first ones to hang. Then the cesspool gangs will invade the interior. Like I said good luck. 1. Methane is CONVERTED to CO2 in the atmosphere, hence contributed to increasing CO2 load in atmospheric column. 2. CO2 is PERSISTENT and spreads across all atmospheric columns, hence there are NO 'holes' in the CO2 'blanket' (as there are in the water vapour 'blanket' due to water precipitating out of the atmospheric columns at various regions at various times). 3. Once CO2 increases to critical levels in STRATOSPHERE (where little water vapour occurs) the 'unbroken blanket' of CO2 becomes even MORE PERSISTENT and UBIQUITOUS than before. Don't forget the ropes when the people whose lives were destroyed by the coming mini ice age when you said the sea level was rising come for you. You better get lots of guns, because they're going to show up in thousands looking for liar warmunists to hang up by the feet over their cess pools. And they'll have more guns than you can imagine. I'm going to encourage them and write my congresscritters not to make a law about it. You know, freedom and stuff. methane, who says it best ? 1. unusual 'fossil' methane/CO2 from clathrates/hydrates initially increases localised warming which releases more methane/CO2, and so on until the whole global system 'interconnects' all those localised increased warming feedbacks. 2. The Earth has 'buffer' components for heat/CO2 in Ocean and Cold regions/ice-reservoirs; so the TREND is what matters, NOT any simplistic localised/transient cooling/buffering...because when 'buffering capacities' are 'exhausted' all that heat/Co2 will RE-EMERGE. 3. the video/author is 'selective' in 'interpreting' the data...specifically 'excluding' data/trends which counter his simplistic 'analysis'. 4. Here in Oz and in many continents on the planet are NOW experiencing EXTREME COLD and EXTREME HEAT related INSTABILITY 'events' which make a mockery of that video's/author's simplistic 'analysis'. Did you even rotate that sphere and check all the regions on the globe for the CO2 ppm load figures, @snoose? That link shows VARIATIONS (upwards from 400 ppm) of the atmospheric CO2 load in various regions; it does NOT show any 'holes' in the CO2 'blanket' ANYWHERE....NOT EVEN in the MIDDLE of the Atlantic and Pacific OCEANS! Face it, @snoose, you are even more (tragically) INCOMPETENT than those videos/authors whose (simplistic and misleading) 'analysis' and 'interpretations' you linked above and earlier in the thread. You and they are a danger to yourselves, your families and future generations; whom your self-entered and/or political/business/criminal 'interests' driven trolling and misinformation is effectively betraying. it's obvious that AGW-caused climate change is upon us all NOW. Shame. That' 'conversion' is what I informed YOU about, mate; now you quote that back at me as if you are informing us of something we didn't know? And the 'problem' with methane is when VAST quantities from vast clathrates/hydrates/peat/permafrost etc initially causes warming of local region...THEN causing more releases etc etc...and finally joins up globally for overall warming FEEDBACK dynamics which overwhelms any temporary 'buffering' of CO2/heat in oceans/ice etc...which then means RE-EMERGENCE of 'buffered' heat/CO2...and hence RUNAWAY greenhouse effect. And you/all should distrust HIS distrust of climate science...because, as I just showed above, he is (tragically; and perhaps even criminally) INCOMPETENT. abc your fake news network, 2019 Hottest EVER ! @snooze is cesspool gang bait. It's not a 'methane' induced runaway greenhouse, it's a CO2 induced runaway greenhouse, @snoose. The methane merely brings forward the TIMING of that runaway 'tipping point': from when it may have been if only CO2 emissions increased/triggered it....to the point when EXTRA CO2 from vast warming-related methane releases CONVERTED to CO2....thus EXACERBATING the ALREADY ongoing CO2 problem that is bringing us ever closer to the tipping point PREDICTED AS THE FINAL PHASE of TRANSITION from pre-industrial 'tolerable norms, to future DEADLY 'new norms'. 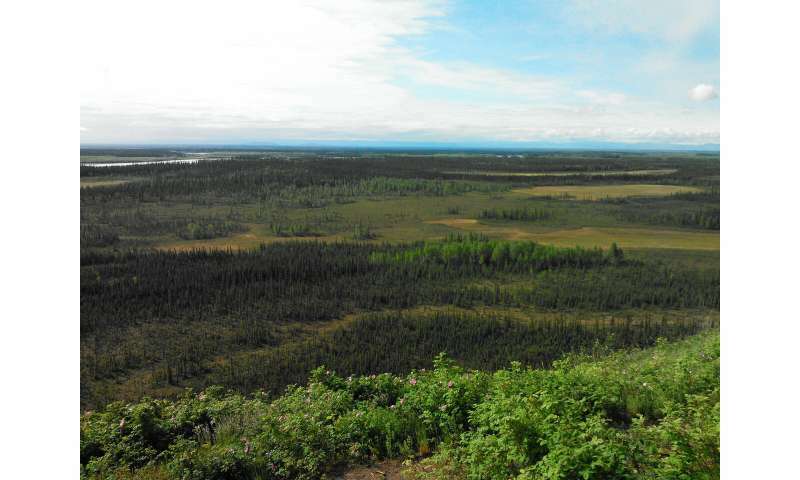 Alaska shows no signs of rising Arctic methane, NASA study shows. And so, the PATHOLOGICAL LIES of the AGW Cult and their PATHOLOGICAL "SCIENCE" continues. If you're gonna lie, @tehalgore, at least try to make it plausible. If there are obvious articles out there that show you're wrong, what you get is a bunch of people laughing at you. Now go hide from the cesspool gangs in your basement. ''What could happen to methane in the Arctic? co2 derangement syndrome; HELP FIND A CURE ! 1. that is ONE STUDY with nothing to compare it to, to check whether that was an increase or normal compared to previous years. 2. the warming air temps may impact the actual GROUND differently depending on wind-chill factors, nature of soil, compaction/porosity etc differences between Alaskan and Siberian regions. 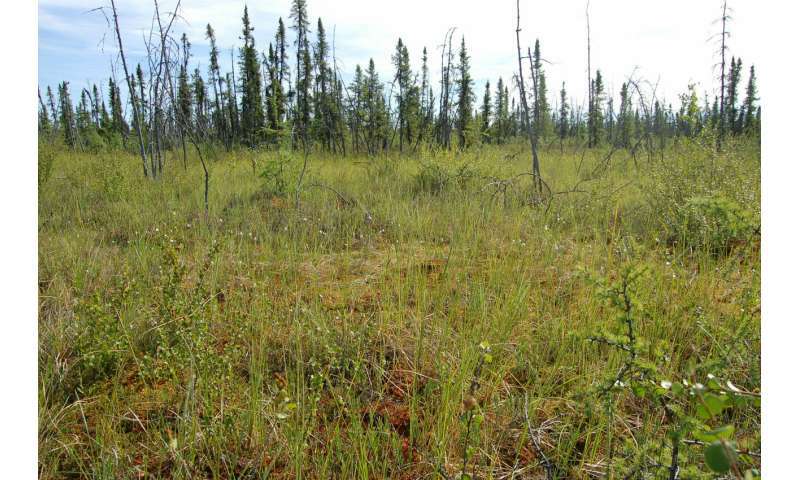 3. the TIME it takes (during the short 'summer' season) for warming to penetrate deep enough to seriously/deeply thaw the permafrost may at present be TOO SHORT in just ONE season. 4. BUT IF WARMING persists/exacerbates, eventually the SUMMER/THAW season becomes LONGER (like in OZ the summer/FIRE season has), so Methane releases will worsen. The latest Heresy will make your eyes burn ! How naive/stupid is this Judith Curry? Has she forgotten the 'scientists' corrupted by BIG TOBACCO to help confuse/delay action on the targeting/addiction of new generations of youngsters while BIG TOBACCO made huge profits as people DIED? How long will you, @snoosebaum, be complicit in this latest attempt by BIG BUSINESS to confuse/delay action on AGW as people DIE all over the globe from the evolving 'new norm' of BACK-TO-BACK climate change related disasters? If you (and this Judith Curry who wrote that article in your link) came to OZ NOW you/she would see how the dangers and deaths/costs are mounting as we speak. Unprincipled/Stupid people such as you/Judith Curry are tragically (perhaps even criminally) INCOMPETENT time wasters/apologists for SCOUNDRELS. Murderers. Shame. @snooze thinks it can avoid the cesspool gangs whose property it has destroyed by covering them with sewage. Good luck with that. Hide in your basement. They'll be coming for you in their thousands. Your fate will be to be hung up by your ankles over the rising sewage you said could never happen. yes thats what i thought looking at that , but warm doesn't readily come to mind right now [brrr] , notice the southern jetstream is moving north ! during your summer , not good . Not me; I'm on top of a hill. I saw this coming a couple decades ago. But you might meet some of my neighbors. They're pretty unhappy. They've already made their unhappiness known at meetings of the city council and there are some pretty scared councillors going door-to-door. They have instituted metal detectors at the entrances to the council chambers. And it's spreading. Best have that basement all prepared. @snooze. And in the end it's not gonna help; they'll be looking for liar deniers to give them the Rialto Bridge treatment. I mean seriously, you cannot possibly expect you can deny sea level rise when peoples' septic tanks are overflowing into their yards. There's denial, and then there's comeuppance. You get what you pay for. where the hell did they put their septic? on the beach ? Where you told them it would be fine because sea level wasn't rising. It depends where they are seen. In some places it's many more polar bears invading (like 50+). They wouldn't come onto land in those numbers if something wasn't going wrong with their usual ice/snow hunting/breeding patterns/habitats etc. The problem is increasing instability; and hence increasing extremes of cold/hot etc, as more heat/energy retained/cycled through Earth system. In longer term that adds up; and instability/confluences cause increasing damage/cost. increasing ? might want to check history , not much stability back there , all this warming is at most a degree or so over a century , so its -29 instead of -30 somewhere . remember this was Miami we were talking about , the rich are all piled in there a few feet off sea level , the whole state is unstable full of swamps and sinkholes . Sea level rise has been linear and natural, end of ice age stuff . increasing? might want to check history, not much stability back there, all this warming is at most a degree or so over a century , so its -29 instead of -30 somewhere. And die more cruelly as less Arctic sea-ice to hunt on. Poor old bugger, I feel sorry for him being exploited by that patently obvious AGW-denier who wrote that up. It's obvious that poor old bugger's claims have already been falsified by the current shrinking of glaciers, lessening sea-ice cover etc. Even the 'snow line' advancing up the mountains prove that AGW is underway despite his claims that we are in a cooling phase. Poor old bugger, the only ones taking his patently falsified claims seriously are the AGW-denier promulgators/believers like you and that 'writer', snoose. I'd be angry if it wasn't so pitiable.